Over the years the club built a very basic layout for the National Trust property Knightshayes Court in Tiverton. The layout was a two track effort laid directly on the property’s billiard table which, for protection, was covered in a white sheet. We all decided that something better could and should be built. To that end, early in 2018 we started to construct a more permanent layout. 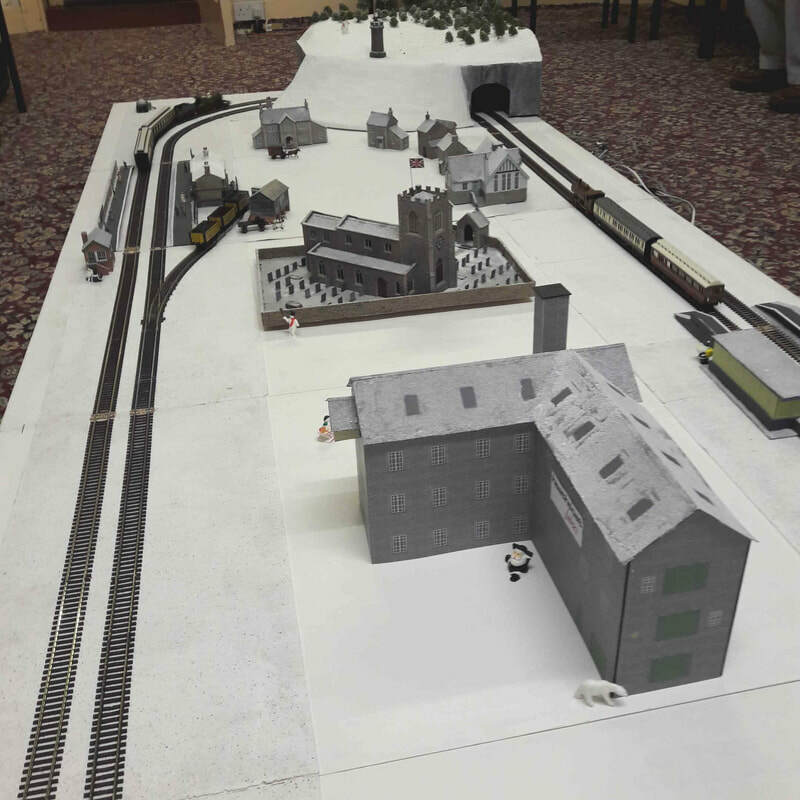 It has been built on five boards, and has a double track layout as the main feature. It is a basic arrangement - not so much a model railway but a toy train set. Imagine a little boy has just been given a train set for Christmas, and has set it up to run his new present. Over time the layout developed, and now has quite a few scenic features. There is a hill and tunnel with a folly on the top. 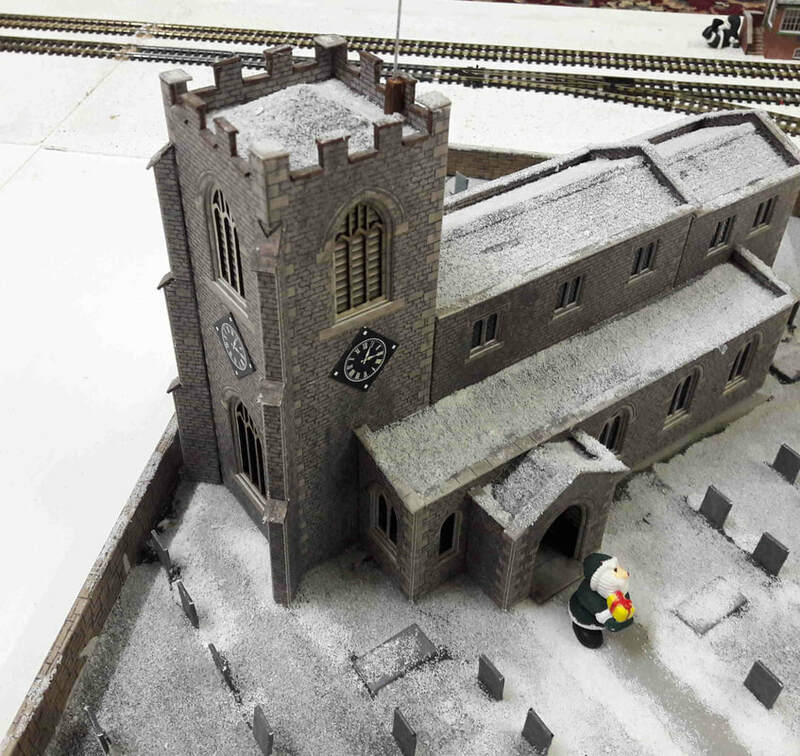 The church, which forms the centre piece of the model, is a rather outstanding feature with its own graveyard and interior lighting. 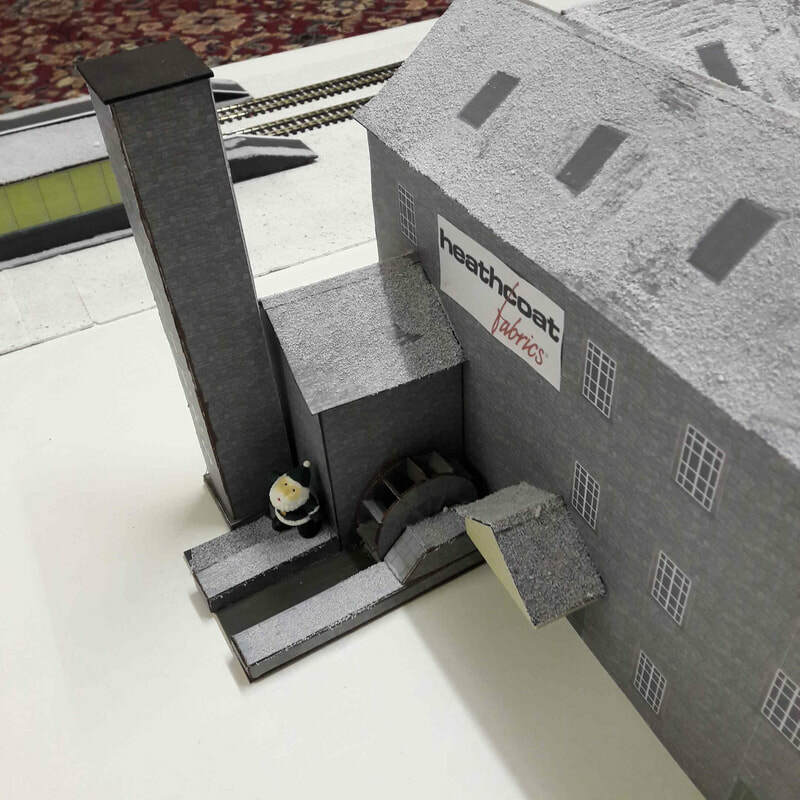 The basic theme of the model is “The Railway Children,” inspired by the famous British children’s film. 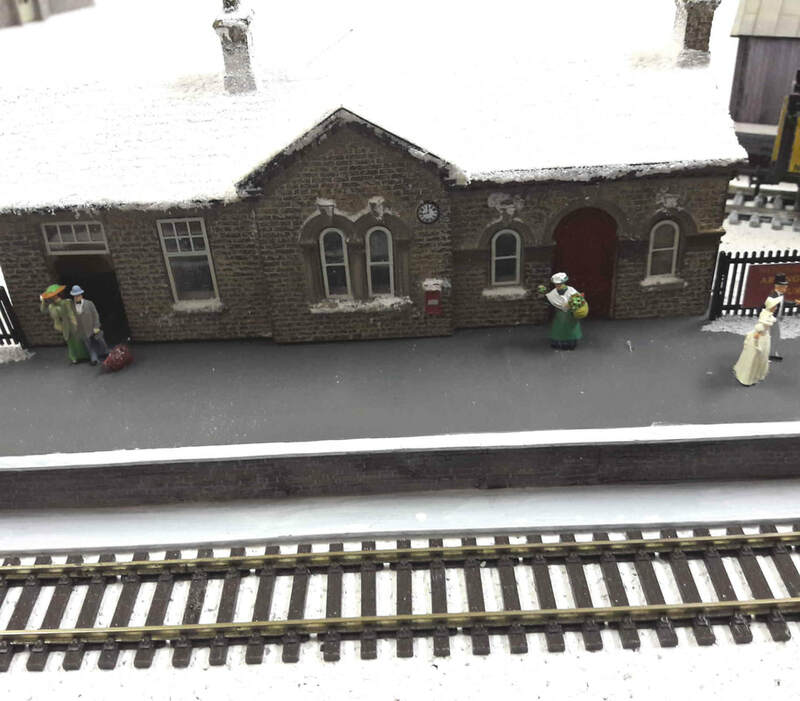 The main station is Oakworth, the original is to be found on the K&WVR. The model will be on display over the Christmas period at Knightshayes, whenever the house is open to the public. Hopefully this arrangement will continue at future Christmas times.